This tutorial presents architectures and algorithms for conversational agents using a system, user or mixed-initiative dialog strategy, i.e., by combining both the system- and user-initiative. The tutorial covers topics from challenges on building conversational agents, to the state of the art of currently academic and on the market solutions. We will present several approaches, their strengths and limitations. We will also present which approach would be recommended to use depending on a set of use cases. 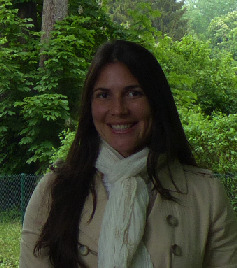 Dr. Maira Gatti de Bayser is a Research Staff Member (RSM) in the Social Data Analytics group at IBM Research - Brazil since 2011, where she has been conducting research on multi-agent systems for social systems. Maira holds Ph.D. (2009) and M.Sc. (2006) in Software Engineering for Multi-Agent Systems from Informatics Department of the PUC-Rio, Pontifical Catholic University of Rio de Janeiro, Brazil. She has been a research fellow at the Agent and Intelligent Systems of Kings College London, England (2009), and before a visit student at the University of Waterloo, Canada (2008). 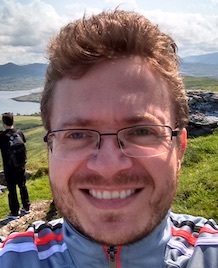 Dr. Paulo R. Cavalin is a Research Staff Member (RSM) in the Social Data Analytics group at IBM Research, Brazil since 2012 where he has been conducting both theoretical and applied research in pattern recognition, machine learning, and computer vision. He received a Ph.D. degree in automated production engineering from École de Technologie Supérieure (ÉTS) - Université du Québec in 2011, an M.Sc. degree in applied informatics from Pontifícia Universidade Católica do Paraná (PUCPR). , and a B.Sc. degree in informatics from Universidade Estadual de Ponta Grossa (UEPG), in 2002.